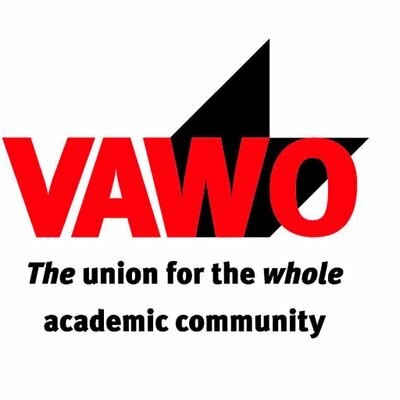 The Academic Union (VAWO) is one of the partners of PNN. As part of this partnership, PNN has a fixed seat in the board of VAWO. This position on the board of VAWO is usually fulfilled by our board member on Labor Conditions. In contrast to PNN, VAWO can support PhD Candidates in case of specific legal disputes. Because of this, we recommend PhD Candidates to become of member of VAWO (or another Labor Union). 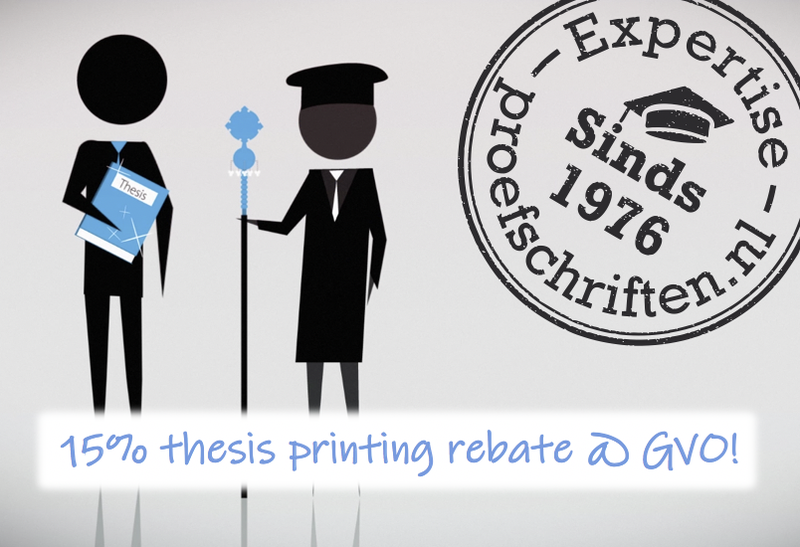 VAWO has a special, reduced membership contribution for PhD Candidates, of only 72 euros per year. By means of the Keuzemodel the costs for the membership of a Labor Union can (partly) be retrieved from the employer. PNN has a close cooperation with Academic Transfer. 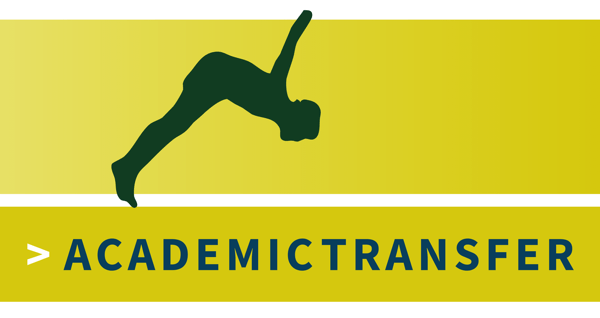 Academic Transfer is the Dutch vacancy website for Masters, PhD Candidates, Postdocs, scientists and researchers. As part of this partnership all vacancies within the PNN Board or from the Professional PhD Program can also be found on the Academic Transfer website. For all current PhD vacancies, see here. For the current vacancies within the PNN board (if any), see here. On the 8th of septebmer 2018, Plan S was presented by cOAlition S. The initiative strives to establish direct and complete Open Access of scientific publications from January 2020 onwards. It encompasses all publications that are the result of research funded by the members of cOAlition S, including the Dutch NWO and ERC. At its core are 10 principles currently being developed into a set of implementation guidelines. As representatives of all PhD candidates in the Netherlands, we like to respond and contribute to the debate surrounding the implementation of Plan S. In general, as young researchers, we support the ambitions of Plan S. We fully endorse the joint statement on the implementation by the European representation (Eurodoc, MCAA and YAE), to which PNN also contributed. In this statement, a number of specific proposals are made regarding the implementation of Plan S. We call upon NWO and the other members of cOAlition S to integrate these proposals in the implementation of Plan S, as well as in future debates and initiatives within cOAlition S.
In addition to this joint statement, we would like to address the members of cOAlition S, in particular also the Dutch members, with an important call: make sure that PhD candidates and early career researchers are better informed, supported and involved in the ongoing transition to open science in general, and the implementation of Plan S especially. Below we iterate 4 key concerns we would like the members of cOAlition S to consider while moving forward with Plan S.
One of the major concerns for early career researchers on Plan S is the potential disruption for their scientific career. For many research areas most of the ‘high-impact’ journals are currently not Plan S-compliant. However, in the current academic system, publishing a ‘high-impact’ paper is key to advancing ones scientific career, especially for early career researchers. Since Plan S will make publishing in such ‘high-impact’ journals more difficult, the scientific community will have to shift towards an alternative way of evaluating and rewarding scientists. PNN supports the statement of (the Dutch) NWO and ZonMW on actively debating and pursuing a new system to evaluate and reward scientists. A clear, specific and rapid completion of this transition will be crucial to address any potential career disruptions and concerns for PhD candidates and early career researchers. It should be made clear how open access benefits young researchers, for example when it comes to awarding grant applications. A ‘lost generation’ of young researchers should be prevented: a generation who under the current reward system would not be rewarded for complying with Plan S, but rather suffer negative career consequences. In our opinion, the emergence of such a lost generation would harm the transition to open access by eroding the support among young researchers. We call upon cOAlition S, and in particular NOW and ZonMW, to provide clarity on this topic as soon as possible. We explicitly call for the involvement of PhD candidates and early career researchers in the design of a new evaluation system which rewards open access. Signing the San Francisco Declaration on Research Assessment (DORA) would be an important step in this transition. The shift towards a new reward system should take into consideration two key points: 1) avoiding a ‘lost generation’ as stated previously and 2) providing a level playing field and equal opportunities for researchers who do not fall under Plan S to also publish in Open Access journals through ensuring adequate funding. Plan S accelerates the transition to Open Access publishing. This provides both opportunities as well as challenges for early career researchers. We feel that this group is not always represented and involved in the debate surrounding Plan S. If Plan S and the transition to open science is to be a success, engaging and involving young researchers is crucial. PNN represents the interests of PhD candidates in the Netherlands and as such invites NWO and ZonMW as a member of cOAlition S to involve the voice of young researchers more explicitly in the implementation of Plan S.
Lack of Open Access Infrastructure: ‘One size fits all’? As mentioned by other parties, Plan S does not distinguish between differences in publication cultures across the various scientific fields. PNN is especially worried about young researchers in fields that are still lagging behind when it comes to open access infrastructure, lacking peer-reviewed open access journals. In this regard, Plan S is sometimes ahead of scientific practice. For example, in the field of law, articles are often published in national journals who do not have clear guidelines on open access at all. We ask NWO and members of cOAlition S to collaborate with junior and senior scientists to make a thorough analysis of the various scientific fields in order to detect and tackle potential practical problems upfront. Where (peer-reviewed) open access publishing opportunities are indeed lacking, this should not be made the responsibility of individual researchers. Where this is the case, alternatives publication methods should be offered to make sure that all researchers can still publish under Plan S. Potential practical problems and solutions should be identified and communicated to researchers in advance. The implementation guidelines contain important features that make open access publishing better achievable for young researchers. Of particular importance to PhD candidates is the financial support by the members of cOAlition S to cover the APCs (‘article processing charges’) so as not to financially burden researchers themselves. We would like to stress that tall publishing fees should be covered fully under Plan S. If such fees would exhaust the already small research budgets of many departments, young PhD candidates will often be the first to be affected. Finally, we would like to propose an addition to Plan S and ask the Dutch members of cOAlition S in particular to consider to provide also for funding for open access publishing for researchers who do not fall under Plan S. Independent financial support for open access is not always present at universities, making it difficult for PhD candidates to engage in open access publishing due to limited financial support. Although Plan S is an important first step towards open access publishing, extending means and support beyond Plan S for all researcher would help further accelerate the transition to open access, thereby also potentially contributing to more appreciation of the ambitions of Plan S within the research community at large. 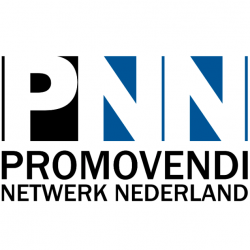 Het PNN is de landelijke belangenorganisatie voor en door promovendi in Nederland. We vertegenwoordigen promovendi op nationaal niveau en zijn daarmee een gesprekspartner voor o.a. Tweede Kamerleden, het ministerie van OCW, de VSNU, de KNAW, Science in Transition en Academic Transfer. We organiseren jaarlijks een National PhD Day, zijn actief in de VAWO (de vakbond voor de wetenschap) en Eurodoc (Europees PhD-overleg). Op onze ALV’s overleggen promovendi-vertegenwoordigers van alle Nederlandse universiteiten en UMC’s met elkaar. Deze portefeuille bestaat uit een aantal verschillende onderwerpen die allemaal raken aan de aanstelling van promovendi. Zo ben je als bestuurslid arbeidsvoorwaarden bezig met de arbeidsvoorwaarden van promovendi, met promotiestudenten, en ben je het eerste aanspreekpunt als promovendi met vragen komen over de (contract)voorwaarden waaronder zij promoveren. De onderwerpen binnen de portefeuille verlangen een goede afstemming met externe organisaties zoals de VAWO (de wetenschappelijke vakbond), de VSNU, het ministerie van OCW en Tweede Kamerleden. Je neemt ook namens PNN zitting in het bestuur van de VAWO. De onderwerpen uit deze portefeuille zijn veelal sterk politiek van aard. De portefeuillehouder arbeidsvoorwaarden dient daarom te beschikken over sociale, communicatieve, en analytische vaardigheden, maar bovenal politieke sensitiviteit en ervaring in een politieke omgeving om het netwerk te onderhouden en de onderhandelingen/ gesprekken op scherp te zetten. Als portefeuillehouder Loopbaan/Professional PhD Program (PPP) ben je verantwoordelijk voor onderwerpen die raken aan de loopbaan van de promovendus, of die nu binnen of buiten de academie ligt. Omdat 70 tot 80 procent van de promovendi geen werk binnen de academische wereld zal vinden, vindt PNN het belangrijk hen ook voor te bereiden op werk buiten de wetenschap. Met het PPP (zie voor meer info: http://www.hetpnn.nl/ppp/) krijgen promovendi de gelegenheid enkele maanden in een bedrijf of voor een overheid waardevolle werkervaring op te doen. Als portefeuillehouder onderhoud je contacten met onze partners in dit project, werf je nieuwe PPP-projecten en zet je vacatures uit. Daarnaast verwachten we dat je reflecteert op de toekomst van het PPP: wat zijn kansen voor de toekomst, wat zijn aantrekkelijke partners, en hoe kunnen we het PPP naar een hoger niveau tillen en uitbreiden? Als portefeuillehouder beschik je over uitstekende sociale én analytische vaardigheden, en ben je in staat een netwerk te onderhouden en uit te breiden. Als penningmeester ben je verantwoordelijk voor de financiële gezondheid van het PNN. Je kunt zelfstandig opereren en bent punctueel en precies. Je taken omvatten o.a. het maken van de begroting en het financiële jaarverslag, het versturen van facturen, het afhandelen van declaraties en het bewaken van de uitgaven. Samen met de andere bestuursleden houd je je bezig met het uitzetten en implementeren van het (financieel) beleid van PNN. Daarnaast ben je ook actief op het gebied van acquisitie en/of fondsenwerving. Je benadert pontentiële nieuwe sponsoren en onderhoudt contacten met bestaande sponsoren. Je stelt contracten met hen op en zorgt ervoor dat verplichtingen over en weer nageleefd worden. Affiniteit met financiën of ervaring als penningmeester is een pré, maar geen verplichting. Ten minste één jaar ervaring als bestuurder met een gedreven groep promovendi vanuit heel Nederland. Veel kans voor eigen initiatief en het ontwikkelen van nieuwe vaardigheden. De mogelijkheid tot het uitbouwen van een netwerk. Het plezier en de voldoening die het geeft om mee te denken over beleid en te werken aan een beter promotieklimaat in Nederland. Een vergoeding voor de reiskosten die je maakt vanwege je bestuursfunctie. Je promoveert (als werknemer- of buitenpromovendus). Je bent enthousiast over het PNN en wilt graag (extra) bestuurservaring opdoen. Je werkt graag samen, maar bent ook in staat pro-actief en zelfstandig op te treden. Je hebt visie en gedrevenheid en kunt die vertalen naar beleid. Je beschikt over de capaciteit om analytisch op te treden, zowel binnen het bestuur en de vereniging als met (partner)organisaties. Je bent bereid ten minste 1 jaar gemiddeld 6-8 uur per week (vrijwillig) in het PNN te steken. Als je drukke onderzoeks- of onderwijsperiodes hebt, kan van deze tijd in overleg worden afgeweken: je proefschrift gaat voor. Je vindt het leuk mee te denken over en je in te zetten voor kwesties als het bursalenexperiment, de positie van PhD’s op de arbeidsmarkt en de kwaliteit van het Nederlandse promotietraject. Vragen of mogelijk interesse? Aarzel dan niet ons te benaderen! Vragen over het PNN kun je stellen aan Martijn Stoutjesdijk (martijn.stoutjesdijk@hetpnn.nl, 06-53793818). Wil je meer weten over de portefeuilles? Stel je vraag dan aan de huidige portefeuillehouder Arbeidsvoorwaarden Marten van der Meulen (marten.vandermeulen@hetpnn.nl), de huidige portefeuillehouder Professional PhD Program Reinder Broekstra (reinder.broekstra@hetpnn.nl) of onze huidige penningmeester Jeff Smit (jeff.smit@hetpnn.nl). Je sollicatiebrief en cv kun je opsturen naar martijn.stoutjesdijk@hetpnn.nl. Wij ontvangen je sollicitatie graag uiterlijk 15 februari. De sollicitatiegesprekken vinden plaats op vrijdag 1 maart in Utrecht.